Start off your visit on the 15th (Sat): take in the spiritual surroundings of Spituk Monastery. Here are some ideas for day two: make a trip to Confluence of the Indus and Zanskar Rivers, take in the dramatic natural features at Magnetic Hill, then contemplate in the serene atmosphere at Gurdwara Pathar Sahib, and finally see the interesting displays at Hall of Fame. 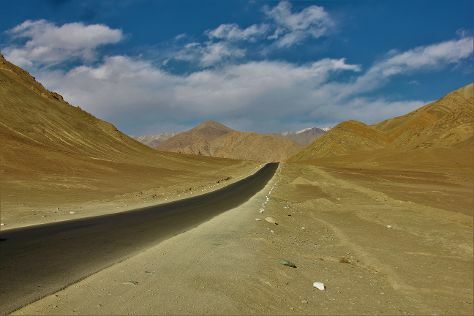 To find photos, other places to visit, and more tourist information, read Leh trip planning tool . Bengaluru to Leh is an approximately 7.5-hour flight. You can also drive; or do a combination of train, taxi, and bus. Finish your sightseeing early on the 17th (Mon) to allow enough time to travel to Bengaluru. 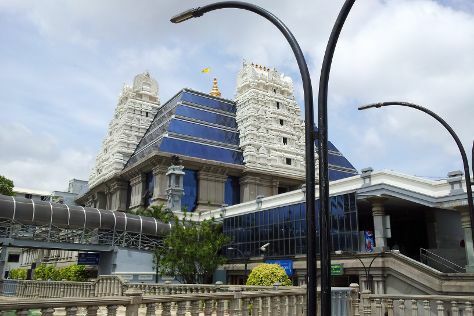 On the 18th (Tue), take in nature's colorful creations at Lalbagh Botanical Garden, then get a taste of the local shopping with UB City, then walk around Cubbon Park, and finally take in the spiritual surroundings of ISKCON Temple Bangalore. To see ratings, other places to visit, where to stay, and other tourist information, read Bengaluru trip itinerary maker . You can fly from Leh to Bengaluru in 7.5 hours. Other options are to drive; or do a combination of bus, taxi, and train. In June, plan for daily highs up to 35°C, and evening lows to 24°C. Finish up your sightseeing early on the 18th (Tue) so you can travel back home.